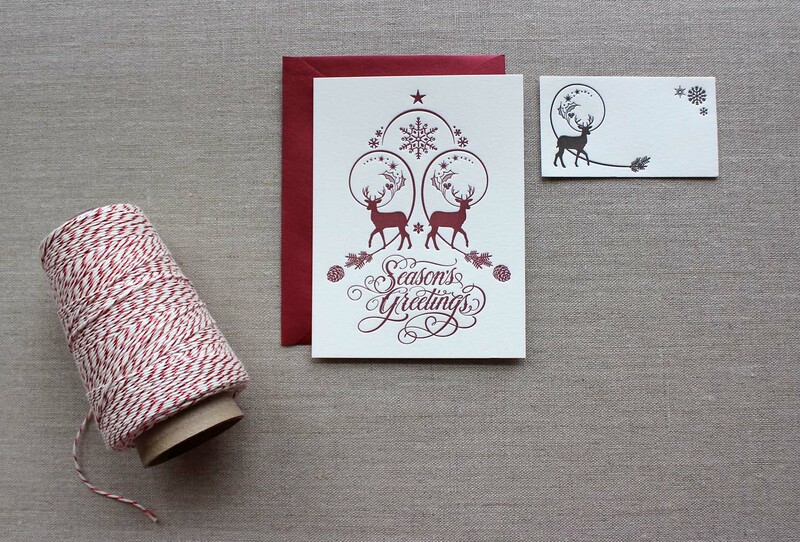 Winter Deer Letterpressed Holiday Cards: Letterpress printed on flat A2 sized cards in cranberry ink. 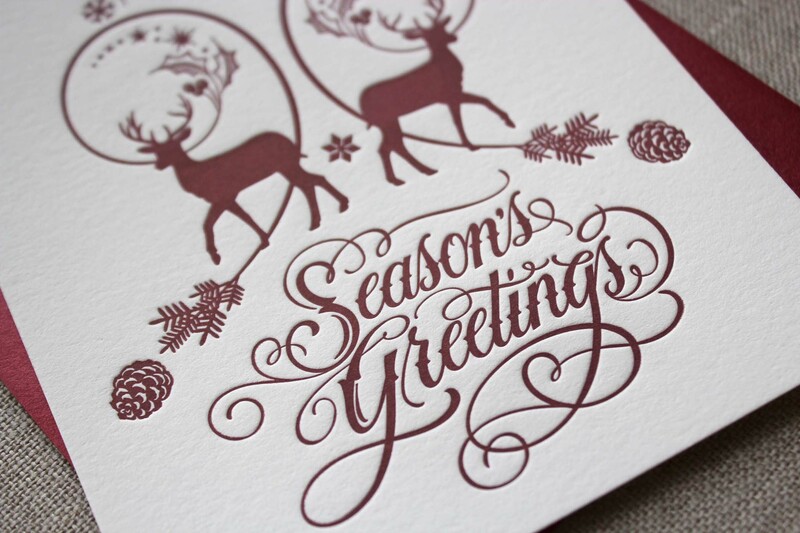 Comes with matching metallic cranberry colored envelopes. 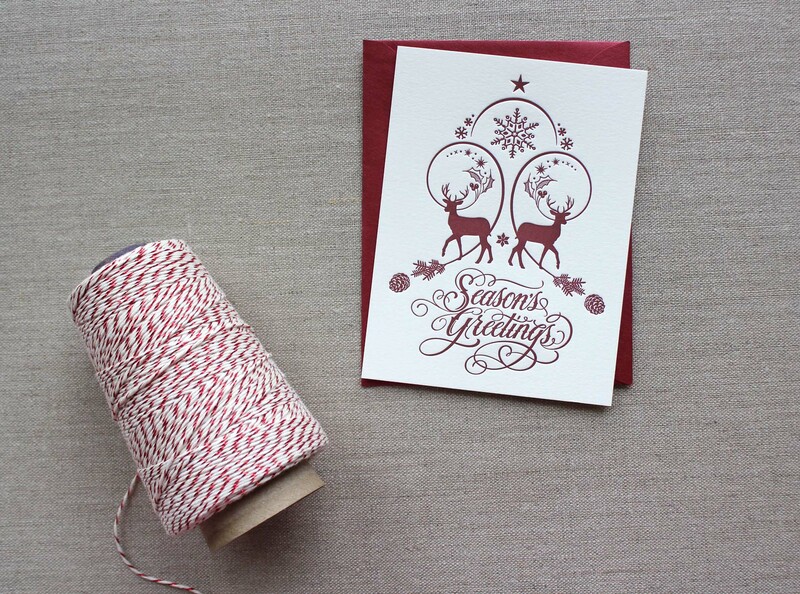 Soft 100% cotton paper is made from the recycled fibers of Manhattan’s Garment District.